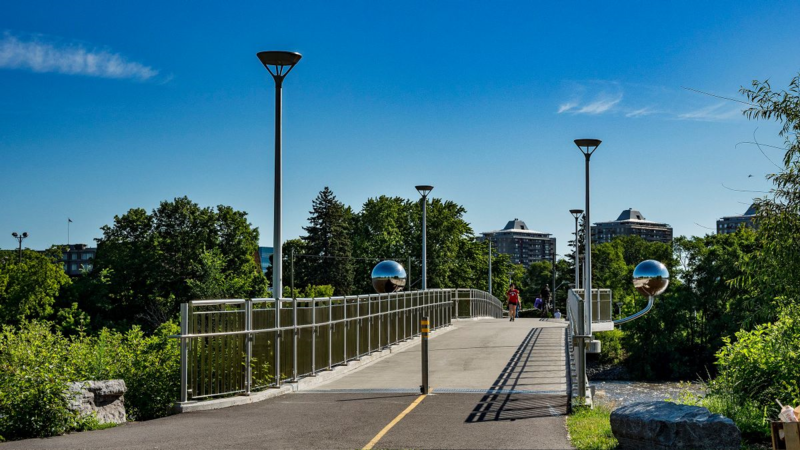 The bike and pedestrian bridge over the Rideau River at Strathcona Park provides pedestrians and cyclists with easy access to the communities, amenities and employment located on either side of the Rideau River. Linking Donald Street and Somerset Street East. Named for the Algonquin term meaning “to trade,” the Adàwe Crossing delivers a safe river crossing for both pedestrians and cyclists. 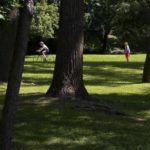 It includes four pedestrian lookouts that provide an area outside the bike travel lanes where users can view the natural scenery and diverse wildlife that inhabit this stretch of the Rideau River. The viewing platforms are complemented by a bridge and railing design that creates an overall open feeling and allows free, uninhibited views in all directions. 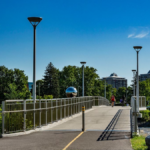 Plus, enhanced LED lighting provides a safe, secure environment for nighttime users.